1. Why Go St. Petersburg? St Petersburg is beautiful, complex, and the ultimate Russian prima donna. This city has a history of 300 years. From an uninhibited swamp, this place has been nurtured and revamped. It also survived its own history and natures’ elements that it reach a metropolitan city today. St Petersburg are attractive for her grand facades, dominating domes and glistering spires. It is just a shame not to stop at this place if you are visiting Russia. 2. When to Go St. Petersburg? 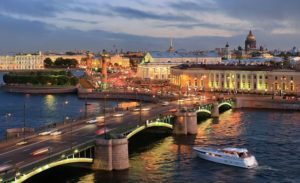 Mid-May to mid-July – This is when St Petersburg celebrates the White Night. It is known for its long summer and the sun never sets. It is the most popular time to visit this majestic city. There will be events such as folks to ballet performance. May & September – A great time to visit summer season in St Petersburg to avoid crowd. November to January – Beware, it is freezing together with blanketed white snow covering St Petersburg. But truly a sight of behold where everything would seems magical. For those who enjoyed art gazing, you will love St Petersburg! In recent years, this city has opened up many new museums and galleries that have put itself on the international art map. 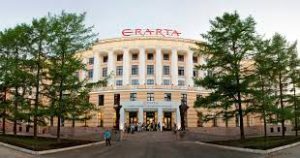 Erata Museum of Contemporary Art is Russia’s largest private art museum. This place has made St Petersburg stand up on its art level. Opened in 2010, and today, it housed over 2000 pieces of Russian’s art produced between 1950s till present date. A wide variety of temporary exhibits for artworks to be sale. It is open every Thursday till Tuesday from 10am till 10pm, so make this place a must have check list. Another two very fascinating galleries would be Loft Project ETAGI and Rizzordi Art Foundation. Art lovers will find plenty of artworks to keep themselves entertained. From the month of end April until November, all St Petersburg bridges across the Neva River will rise to let ships pass through the city. Seagoing ships are ready to set sail if you are just in time to catch a glimpse. How interesting is that! It is definitely a sight to remember. However, do check the timing with the locals to prevent missing this spectacle view. Oh and don’t get yourself on the wrong side of the bridge or you going to miss these sights big time. Come and also visit the railway stations to be amaze at St Petersburg popular mode of transport. Vitebsky vokzal is the oldest and most elegant station in this city. It was originally built in 1837 to serve the public. The current building was preserve and it was housed with gorgeous Russian art nouveau interior decoration. 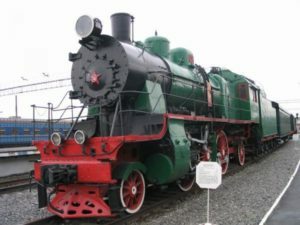 Trainspotters could also come to Museum of Railway Technology to view an impressive full-sized locomotives collections. Your children with pump with excitement to witness their toy trains come to life. There are around 75 nicely painted engines and carriages on display. Some of them even dated back from the late 19th century. Travellers must watch out for pickpockets. Particularly around crowded places such as entrance of the museums or theatres. If you are lost or looking for new idea where to visit, make a trip down to City Tourist Information Centre. There is English-speaking staff and they will do their best to help up with your queries. Those are 6 various reasons why you should visit St. Petersburg. St Petersburg can be a frustrating place to get around for first time travellers. Do take metros as they are build with excellent system. It is accessible along popular tourist spots. Many visitors agree that taking the busses are daunting and confusing as most bus signage are in Russian. Last choices you have would be on your own, on your feet. So do get a comfortable walking shoes and get ready to be lost in St Petersburg!